Lifestyle modification is the first and most important step in managing your PCOS. Lifestyle modification, including diet and exercise, can help to improve the insulin resistance underlying PCOS and can reduce the risk of long-term health problems linked with PCOS including impaired glucose tolerance, type 2 diabetes and heart disease. Even losing relatively small amounts of weight (around 5-10% of body weight) has been shown to reduce insulin levels, improve menstrual function, reduce testosterone (male hormone) levels, improve symptoms of hirsutism (excess hair) and acne, restore ovulation and increase fertility. While eating well, exercising regularly and losing weight are particularly important, other lifestyle factors also play a part. Stress, lack of sleep and smoking may worsen insulin resistance and have been linked with an increased risk of type 2 diabetes. Excess alcohol and other harmful chemicals in the environment may also influence your risk. Quitting smoking, limiting alcohol consumption, learning to manage stress, improving your sleep habits and minimising your exposure to harmful chemicals should therefore also be part of your PCOS management plan. 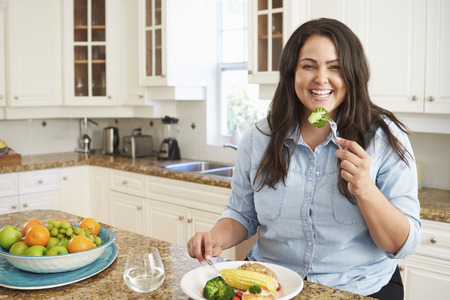 At the PCOS Health & Nutrition Centre we work with you to develop an individualised PCOS lifestyle management plan to address your PCOS symptoms, reduce your long-term health risks and improve your overall health and wellbeing. For more information or to make an appointment with Kate, please email via our contact page or call 0416 747 747.